We created YouOffer to meet the rising demand from customers who want an accurate online price for boiler replacement. 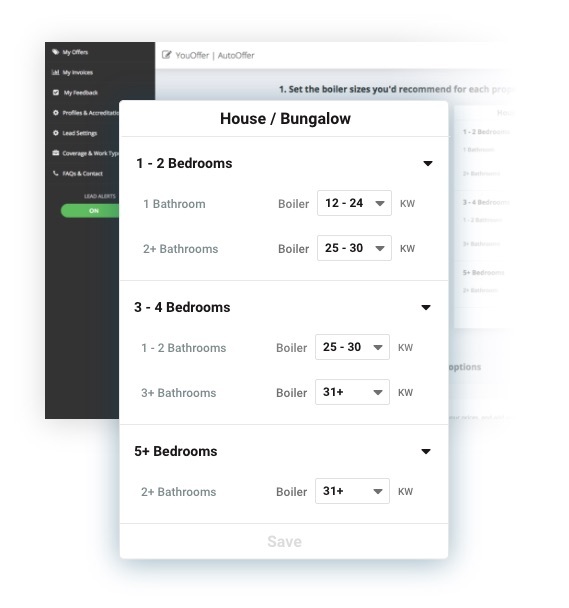 After many months in development and several consultations with the heating engineers we work with, we believe we’ve provided a unique platform for both customers and installers to facilitate accurate quotes without a site visit. While some people still want to get their quotes after a traditional site visit / face to face interaction, more and more people are choosing to get prices online. With YouOffer leads, they just complete a series of specific questions about their home and the work needed via a simple online form. We take all the information you require to be able to accurately estimate what the customer needs so you can give them a recommendation and price. They can then choose up to 3 companies who will then receive the full lead details so they can provide a final quote; only chosen companies will be charged for the lead. If you choose to enable the AutoOffer feature, you can make offers on YouOffer leads automatically. That means finding new jobs without even lifting a finger, wherever you are 24/7! Tell us what size and boiler model you’d recommend for a few different jobs. For example, for a 3 bed detached / 2 bath, 2 bed / 1 bath terrace etc. Set the prices you’d charge for each type of installation. Your prices are always subject to a site visit – it’s not a fixed quote. You don’t need to do anything else! 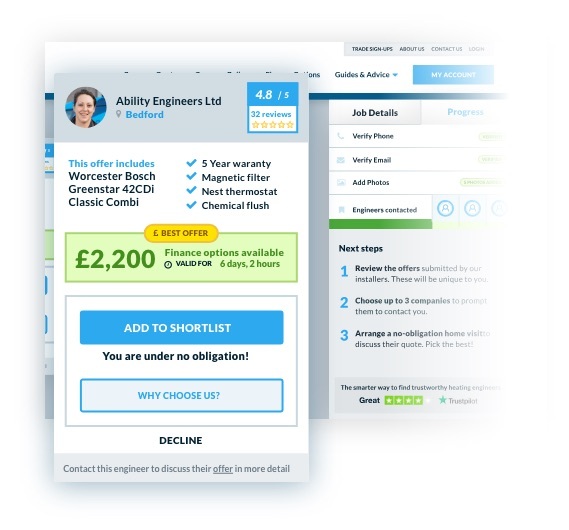 AutoOffer will automatically make offers for YouOffer leads that match your preferences based on your pricing. Oh, and did we mention it’s FREE to make offers? Remember… It’s free unless you make it to the customer’s shortlist of up to 3 companies. That’s also when you’ll get full details of the lead so you can arrange a site visit to confirm your quote. You can turn AutoOffer on and off whenever you like and can set a daily limit on the amount of offers the system will make for you. 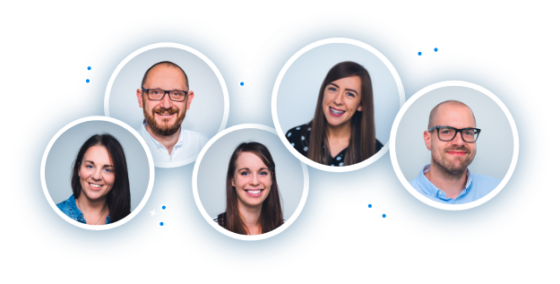 We are always on the lookout for talented PHP Software Engineers to join our growing team. If you think we should know about you, get in touch.